We Believe in You and We Will Help! I had the opportunity last week to attend Tufts Dental School Parent Orientation. Interesting, our son is 24 and going to Dental School and we were invited to an orientation. I was interested to see what kinds of technology a Dental School would be using. I often refer to dentists and dental practice of years ago and compare that scenario with educators and schools of years ago and then ask people to think about the changes in those professions. Which profession do you think has changed the most? And if one profession has changed significantly, then why hasn't the other? No surprise that the explicit message of the day was, We believe in you and we will support your journey towards graduation. This was mentioned multiple times throughout the day. I found myself wondering, do all our students hear and believe that message, whether in the youngest grades or a senior in High School? Do all our parents hear that message? Do parents and students believe that school personnel will teach, guide, support and make sure that each student will be successful throughout the grades K-12? Yes, I realize that Tufts is very competitive and they have chosen carefully. However, if that is the excuse or reason we look to as we explain our challenges in public schools, for NOT believing in students or NOT supporting them, then I am sad to be counted among such educators. Do I do believe that as educators we can explain away our failures and disappointments? Not for long. This is our chance to offer positive change, a chance for a future and a chance to offer what we know will help our students along. We are all, administrators, educators, students and parents, amidst many challenges as we guide our students towards success. If we can promote positive, incremental use of technology and allow each student to accomplish their potential we will realize that We Believe in each student and our support will allow them to be fully functioning citizens in the 21st Century. Oh, what did I see in terms of technology in the Dental Clinics and classrooms? In the clinic I saw the standard chair for the patient, the tools, the sanitation protocol and one technological change. The patient records were all digitized. No folders or forms but rather a computer set up in each cubicle. In the simulation lab for 170 students the teacher speaks into a mic and projects throughout the lab on multiple FLAT TV screens sprinkled throughout. The instructor also has the ability to project from the computer or the video feed of her during the instruction. 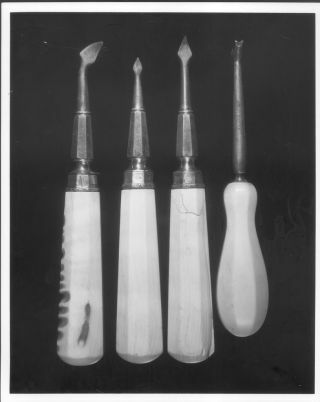 The Tufts Dental School also, has a whole digital network for instructors and students with the lectures archived in a variety of modes for future access, digitized books and data bases. All of this I am sure comes at great expense. However, as technology changes and becomes more available we will see the best of these ideas available to the K-12 level. All of this is to say that, We Believe in You and your steps to allow your students to be fully functioning citizens in the 21st Century.